Smooth and efficient truck gates processes are critical to port and terminal operations. Problems and inefficiencies here often cause bottlenecks for the entire operation. To avoid these issues, careful planning and analysis studies are needed when there are major changes in cargo volumes, traffic arrival patterns, or technology implementations. Cargo Velocity works with terminals to consider all possible impacts of such changes to gate operations, and leverages simulation to refine service position counts and reduce queue lane lengths. Over the course of his career, Cargo Velocity's lead gate designer, Dan Johnson, has completed over 60 truck gate plans. Dan has made gate presentations at many conferences and published an article, "Advanced Gate Options" in ASCE's Civil Engineering magazine about this subject. Over the years, Dan has worked with a wide range of gate equipment vendors and integrators. Tracey Brown, a highly experienced cargo systems business analyst, has led the truck gate configuration and integration work for Cargo Velocity and many other customers. 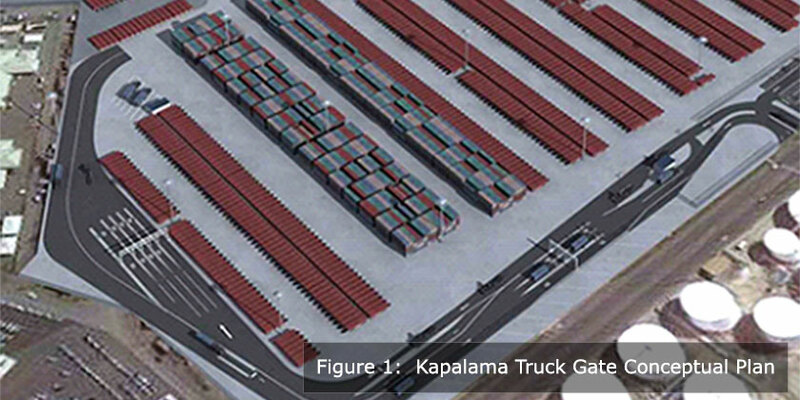 Depending on the situation and extent of change, Cargo Velocity conducts a series of studies ranging from a technology upgrade to full greenfield layout planning and equipment procurement.